5 great restaurants in San Jose | UNIGLOBE Direct Travel Ltd.
Culturally, the city is more European than Latin America. The theaters, museums, houses and cuisines are characteristic of a Spanish city. Talking of cuisines, this blog is about restaurants. I have highlighted below the top restaurants in the city. Named in honor of Joseph of Nazareth, San Jose is the capital of the Central American nation, Costa Rica. It is the seat of government and the city is almost entirely western influenced. It speaks Spanish, its residents are almost entirely educated in Europe, and the architectural design is a heritage from the Spanish occupation. If you are ever in the Costa Rican capital San Jose and feel like eating some Chines cuisine, then Tin Jo is the restaurant to go to. 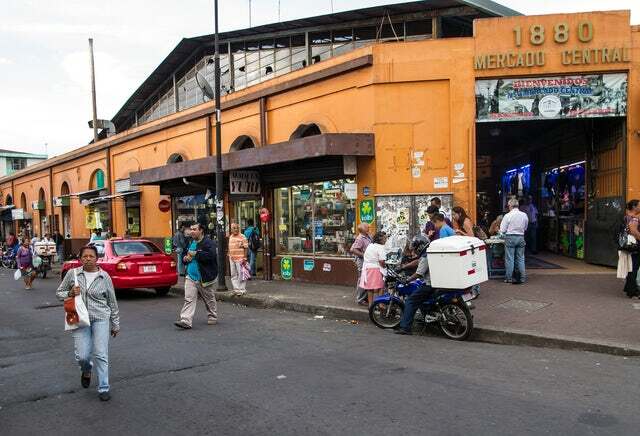 Of course the Costa Rican government wants the area around Tin Jo to become a China Town (like all the other major cities have China Town). None of the Chinese restaurants around the area can match the artfully prepared cuisines at Tin Jo. This is an argentine restaurant whose patrons are the upwardly moving and wealthy executives. It serves delicious meals comprising of special meats such as beef tenderloin, rib eye, kidney, pork ribs and Argentinean sausage. This is a steakhouse, Costa Rican-style. For more than 50 years, it has been serving beef-made delicacies in a rustic, chic environment. Its signature dish is called Lomito which is made from marinated steak and specially made in-house sauce. It is the best place to sample Costa Rican ingenuity in gastronomy. This is a new ultra stylish rooftop restaurant that is great for romantic dinners. Nestled on the 8th floor of the new Sheraton Hotel in Escazú, diners will have complete view of the city of San Jose as they enjoy the culinary delights served here. Its selling point is the great views. For those who love Mexican food, these chain restaurants will satisfy your desire to once again dine in a Mexican restaurant. Tacos, burritos and margaritas are the specialty of this chain. The signature dish is the Taco Tico which is made from crispy corn flautas stuffed with cabbage, beef and spicy aioli. Now that you know where to get great food in the Costa Rican capital, make it your next vacation destination. If nothing else impresses you, at least the food will leave an indelible mark on your dining experience.